Here’s what you need to know about digital phone service PBX systems: A digital phone service or digital phone system is works in the cloud. With cloud-based phone systems there’s no need for equipment or hardware. These virtual office phone systems have an auto attendant that is fully managed online and can rout your calls to your existing phones (i.e., cell phones, home phones, or office phones). 1. Digital PBX telephone systems are managed completely online and can work with your existing phones. 2. Digital PBX systems have all the power of traditional business PBX systems but there’s no need to maintain hardware or update software. 3. 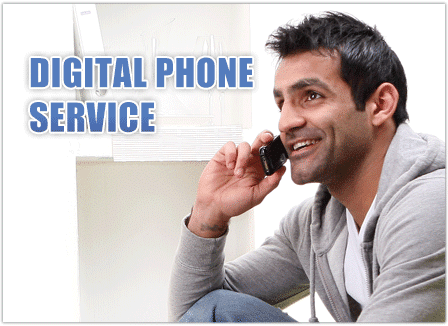 Digital PBX services are a fraction of the cost of traditional business phone services.